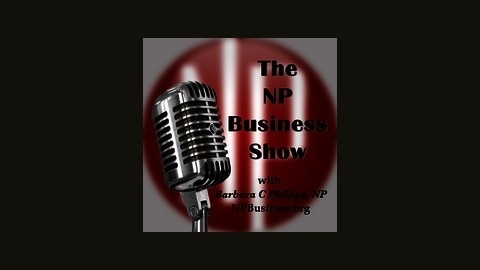 The NPBusiness Show is all about knowledge equaling success. All NPs, all healthcare providers need to understand the basics of business in order to be successful. But that’s not all. We need news, strategies, professional and personal development and the permission to self care. Your host Barbara C Phillips, MN, GNP-BC, FNP-BC, FAANP is a entrepreneur, business coach, speaker, blogger and strives to be a bit geeky. She and her guest discuss questions and issues pertaining to the clinical and non-clinical entrepreneur as well as the employed nurse practitioner. The NPBusiness Show is a continuation of the SAGEClinician podcast with a business twist. Show notes and further information is at NPBusiness.ORG/podcast. The majority of clinicians - nurse practitioners and physician assistants are not business owners, but employees. However, even though we focus on business here, all professionals are business and need to understand that. 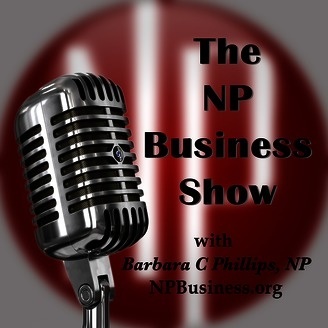 On this episode of the NPBusiness Show & Podcast, I speak with Renee Dahring, NP and current president of the Minnesota APRN Coalition. She is also the NP behind the career blog at Advance for NPs and PAs and is known as the NPCareer Coach. While we, of course, spoke about business and related it to job hunting, Renee was also able to give us ideas how to prepare and approach an interview regardless if you are a NEW nurse practitioner or a seasoned one. Her biggest tips IMHO after having interviewed plenty of candidates are toward the end when she talks about the three biggest faux pas that nurse practitioner job candidates make. You'll want to take a listen for that. Enjoy the show, and happy job hunting!